Crooked Hillary, as she is starting be known as even behind the curtain, is really helping Trump because many Republicans who did not like Trump see her as just outright evil. 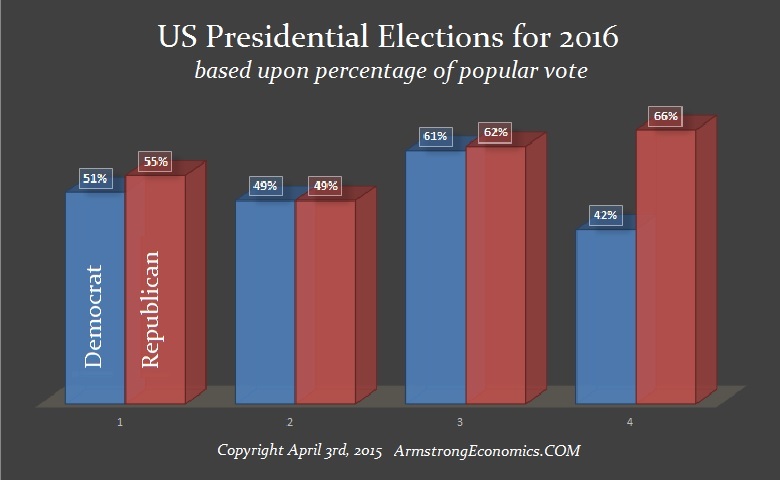 Hillary is now falling behind Trump in national opinion polls. She is so out-of-touch that her age group may want to see a woman in the White House, but the under-40 women make no distinction as that being somehow a significant qualification any more than being black defined Obama. Falling behind Trump is breaching a very critical, symbolic threshold that may pick up momentum as our model has been projecting. Then came a damning report by OIG (Office of Inspector General). Not only did this demonstrate that staff questioned Hillary about the legality of her private server, but she told them to shut up and stop asking questions. The OIG report contradicted her claims, showing she lied once again, as she had been allowed to use a private email server for official business while serving as the nation’s chief diplomat. I found directives issued directly to her to stop such activity, and then upon leaving office the Obama administration introduced a new law to make sure nobody plays this game ever again. Once more, things did not conform to her statements. She lies and she always gets caught. Clinton allies desperately try to argue that the report also shows that other former secretaries of state pulled the same tricks. I suppose if your neighbor kills their spouse it is ok for you to do the same. However, none of those former officials started foundations to take money from foreign governments nor are they running for president — just Hillary. Yes, the FBI is still investigating whether she broke federal law. I, quite frankly, do not know what the problem is. The plain language says she did it and cannot hold any office in government. At a press conference in Japan, Barack Obama outright refused to take any question from a journalist asking whether the email scandal undermined Clinton’s “trustworthiness.” She sold influence, and why would foreign governments donate heaps of money to the Clinton Foundation anyway with no track record? The Democratic Party did not have 17 candidates like the Republicans. Everyone assumed Hillary was applying for a coronation, not a candidate position. The problem they now have is simple; if Hillary is going down in flames, that means Bernie Sanders is the only candidate standing. What will the Democrats do? Talk is circulating about a drafting Joe Biden. What will that do to Bernie supporters? To make matters far worse, the California primary has the largest number of delegates up for grabs on June 7. 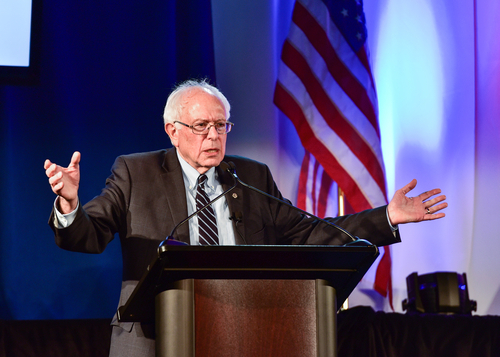 Bernie is neck and neck with Hillary in the polls proving this is not a coronation. Hillary refused to debate Sander on TV in California because she cannot answer his questions. Where everyone assumed Trump would be the divider, it now looks like it is Hillary. The news keeps moving from just outright bad to worse. A federal investigation into campaign contributions of her long-time confidant and the governor of Virginia, Terry McAuliffe, has been unleashed. The FBI is now investigating both the candidate and an elected official with perhaps the closest ties to Hillary. So far, May has been a terrible month for Hillary. On top of all of this, the Democratic Convention looks like it could turn out to be far more colorful than the Republican Convention since the polls show 86% of Republicans demand the party supports Trump. The “Never Trump” effort has died a cruel death. Even the staged protests are now dying off. Suddenly, the cry that Trump is a racist doesn’t stick since Islam is a religion and not a race. Bernie has yet to surrender. He vowed to go all the way because Hillary has so much baggage that it is unbelievable she is still standing for any office, be it dog-catcher or president. With Hillary at the head of the Democratic ticket, Trump may be able to transform previously safe Democratic territory in the rust belt, Pennsylvania, Michigan and Ohio, given his position on trade. Bernie is going all the way because he know she is “crooked Hillary” and could be taken away in chains. How Hillary handles Bernie is also critical for the youth who support him do not see themselves as Democrats at all. Politics is shifting away from “party” politics and is embarking on independence. Hillary has no agenda. She is just regurgitating the same socialist talking points that have been said by every Democratic candidate. She claims she is the “only one” with a plan to deal with Wall Street, but Goldman Sachs showers her with money and says Trump and Bernie are dangerous — but for who exactly? Other Democrats assumed Hillary would release her transcripts of speeches at Goldman Sachs. Her refusal to release the transcript means only one thing — they are damning. If there was nothing there but the standard speech nonsense, then the transcripts would have been released by now. Sources have all said she sounded like one of the managing directors at Goldman. She most likely defended them with something like bankers are not villains. 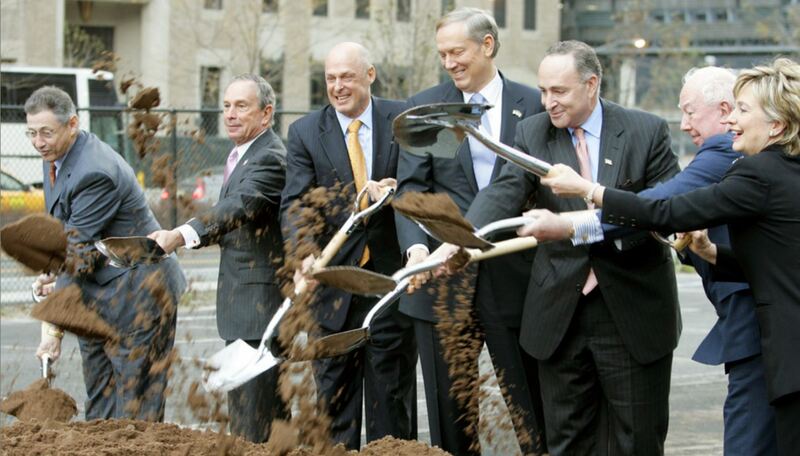 She even was there with the shovel breaking ground for the new Goldman Sachs tower. Goldman Sachs & Hillary Clinton are a marriage made in Washington. 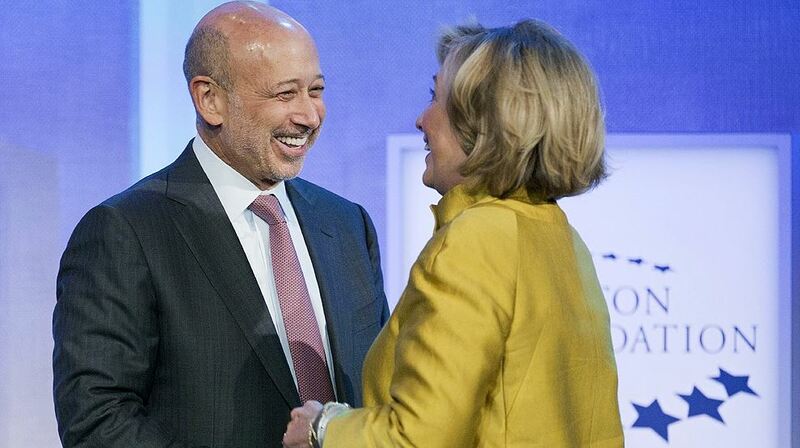 Hillary & Goldman Sachs have had a 20+ year relationship. Clinton keeps trying to define her own news agenda by dodging the criticism. Hillary has clearly distorted the degree to which the rules have changed since previous secretaries of state were in office. The press is not doing their job because they want Hillary to win. 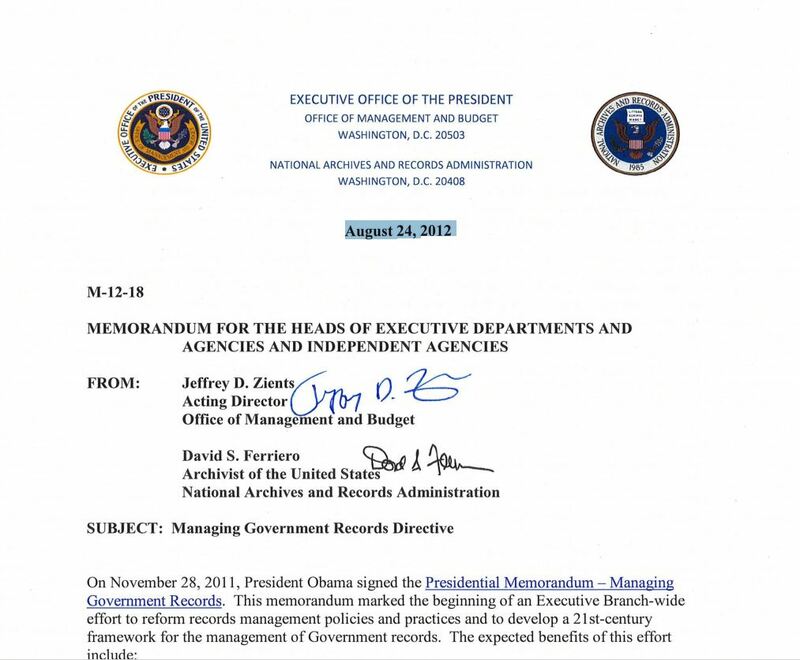 On August 24, 2012, Obama signed a directive to the heads of the executive departments, which would have included Hillary (Directive to Hillary 2012 m-12-18). Hillary was Secretary of State between 2009 and 2013. Therefore, Obama knew she had a private email server or else there would have been no reason to issue this directive, which she IGNORED. Then, after Hillary left, Congress passed the bipartisan act, which made it very specific that ALL emails are the property of the government and “empowers the National Archives to safeguard original and classified records from unauthorized removal.” Hillary never turned them over under subpoena since that did not include her private server during the Benghazi affair. Her defense was always that Republicans were on a witch-hunt, not that she should have produced them from the start. Despite everything else, this all suggests that it remains the FBI, rather than Sanders or Trump, who could really rain on her parade. She has been slick at every possible turn. One must wonder what national assets or influence she will sell to the highest bidder if she were president given her track record as secretary of state. The Clinton Foundation is a real joke and is becoming more of a slush fun. 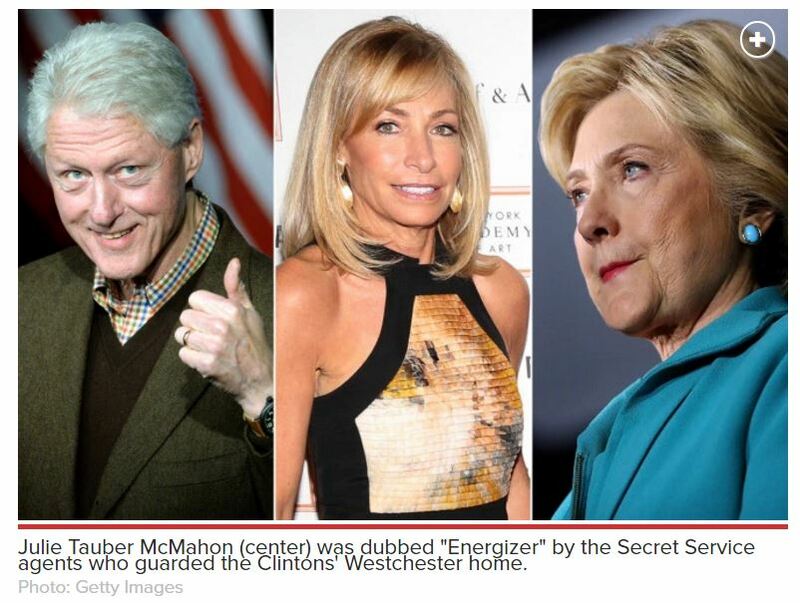 Now we have Bill just being Bill, but handing out $2 million from the Clinton Foundation to a woman who the Secret Service dubbed his “Energizer,” Julie Tauber McMahon. The NY Post has reported the story how the buzz has been all about Julie McMahon who visits Bill when Hillary Clinton isn’t around. Look, she is very attractive and he and Hillary have long been said to be just a political marriage. 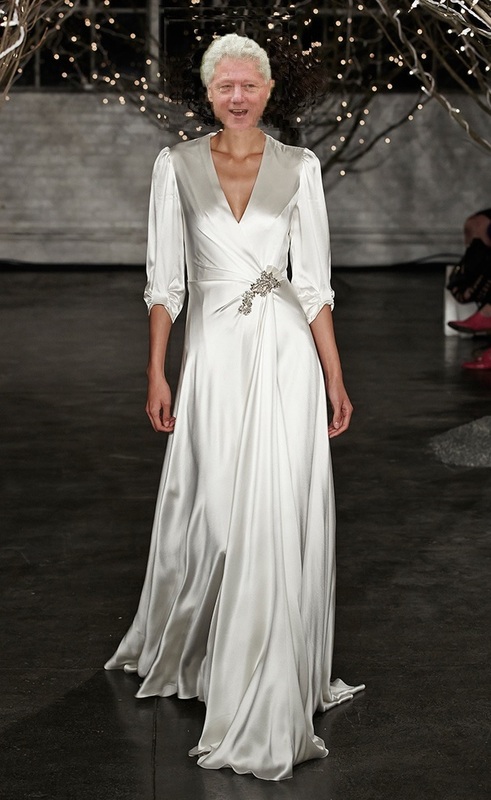 But this is not about a blue dress. Bill gave her $2 million from the Clinton Foundation to her Energy Pioneer Solutions. Just what kind of a first lady would Bill Clinton make? This could be more scandalous than Trump. Would this new role allow Bill to hit on the wives of world leaders? The leader of the free world will never be the same. Well the mess just keeps getting messier. There is no question Hillary would be indicted in the real world under Racketeer Influenced and Corrupt Organizations Act (RICO) for accepting bribes and selling her influence. You have a direct link between her approving arms deals and foreign countries donating to her sham charity. They do not donate such money to any other private charities in the USA. Hillary represents everything that the people voting for Trump and Bernie have had enough of. Indeed, 2016 is going down in history when third party movements overthrow party politics. Trump has remade the Republicans, forcing them to realize the people are angry with party politicians. Our computer may be right again. 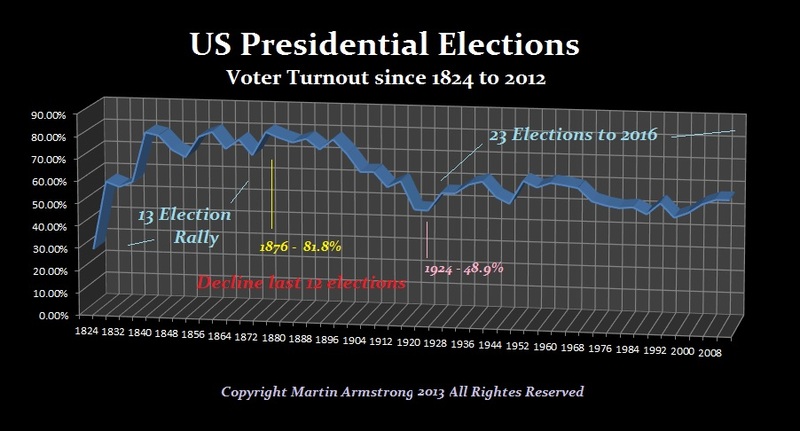 Trump could win really big and this may be the biggest turnout in recent history since 1924.